The mission of Worth the Weight, LLC is to spread a message of healing and to inspire women to reclaim their health via healthy, natural, sustainable weight loss. My hope is that, ultimately, this new level of health and wholeness will empower women to walk in their purpose with a renewed vigor and strength. I would like to offer you an opportunity to help spread this mission. I’d like to invite you to serve as a sponsor or a vendor for upcoming events that will be held in May and June 2019. 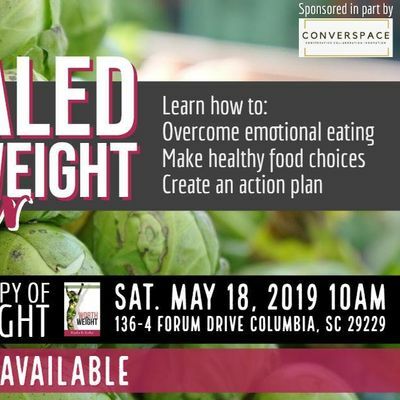 The first Get Healed, Lose the Weight event will be held on Saturday, May 18, 2019 (10a.m. - 12p.m.) and the second event will be held on Saturday, June 15, 2019 (10a.m. - 12p.m.). The seminar will be facilitated by Kiesha Easley, Christian Health Coach and author. Kiesha struggled with chronic fatigue and her weight for years. Finally, in 2017, she lost 75 pounds naturally. She became so inspired to help others that she wrote Worth the Weight to share her story and reveal the strategies she used. 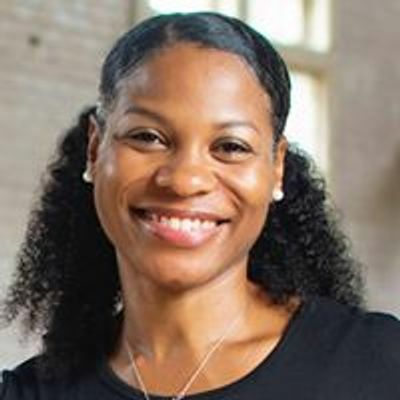 Now, she helps women who are struggling learn to make the mindset and spiritual shifts needed to lead a healthy lifestyle. Learn more about Kiesha at: www.kieshaeasley.com/about-me . With your help, we can make these seminars a life-changing event for the attendees. 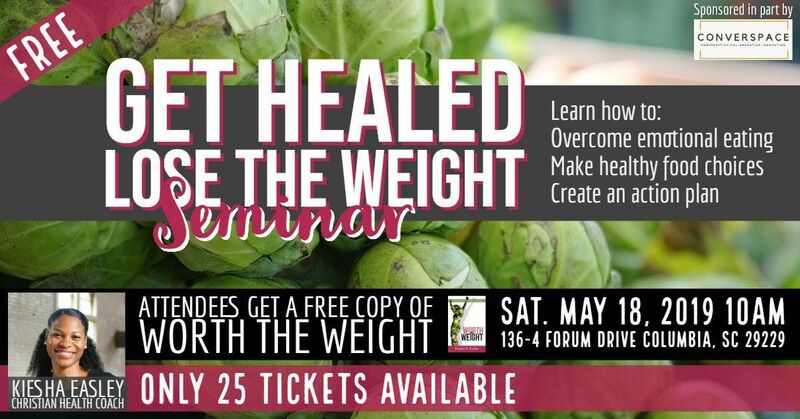 Your funds will help cover the cost of the event space, provide free copies of Worth the Weight to each attendee, and fund a FREE 60-Day 1:1 Coaching session for one lucky attendee.